Deep historical roots? Cool modern sound? Check, check! 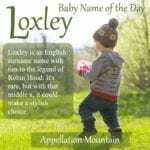 Thanks to Rachel for suggesting the on-trend Saxon as our Baby Name of the Day. Saxon is a surname, from the name of the Germanic tribe. Or tribes. Originally from Central Europe, they occupied parts of Britain by the fifth century, and settled throughout Europe. Some sources list Saxon’s meaning as “stone,” but it seems more likely that it came from seax, a type of dagger the tribes used. Seax was also the Old English word for knife. Plenty of place names incorporate the tribe’s name, including Saxony, in modern-day Germany, as well as Wessex, Sussex, and Middlesex in the UK. Saxon and sometimes Saxton are surnames, all tracing back to the ancient tribes. They could refer to someone from Saxony, or from places in Britain with similar names. I’ve also seen Seaxa and Seaxel listed as medieval given names worn by Anglo-Saxons, so it’s possible Saxon could be derived from personal names, too. During the twentieth century, the name was used – but only rarely as a given name. Instead, there was the Saxon Motor Car Company, from Michigan. They produced their first roadster in 1913, and went out of business by 1923. A 1980s-era heavy metal band by the name, from the same era as Metallica and Megadeth. Arthur Saxon, a late nineteenth and early twentieth century circus strongman, once the world recorder holder in weight lifting. Actor John Saxon was born Carmine Orrico in Brooklyn, and is best remembered for starring with Bruce Lee in 1973’s Enter the Dragon. James J. Saxon was Comptroller of the Currency under JFK. Most surnames will see some sparing use as given names, especially for boys. 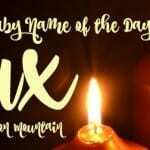 But when Saxon first started appearing in the US data, it was as a girls’ name. Credit Jack London’s 1913 novel The Valley of the Moon. While it’s not one of his better known works today, London was a popular, widely-read author. The Valley of the Moon was about a working-class couple struggling to eke out a living in Oakland, California. Their names? Billy and Saxon Roberts. It became a movie in 1914, with silent film star Myrtle Stedman as Saxon. Between 1914 and 1918, a handful of girls were given the name. But then it faded, and it isn’t until the 1950s that we start to see small numbers of boys given the name. I’m not sure if young actress Saxon Sharbino was named after the London character, but I do know she’s having a good year. Sharbino is currently starring as eldest sister Kendra in the reboot of Poltergeist. Despite the actress, the numbers give this one to the boys. There were 49 newborn baby Saxons in 2014 – 44 of them boys. With names like Jaxon and Maxton on the rise, this name feels like it belongs on Team Blue. Overall, Saxon could be a great compromise name. It feels modern, but the history is right there, too. 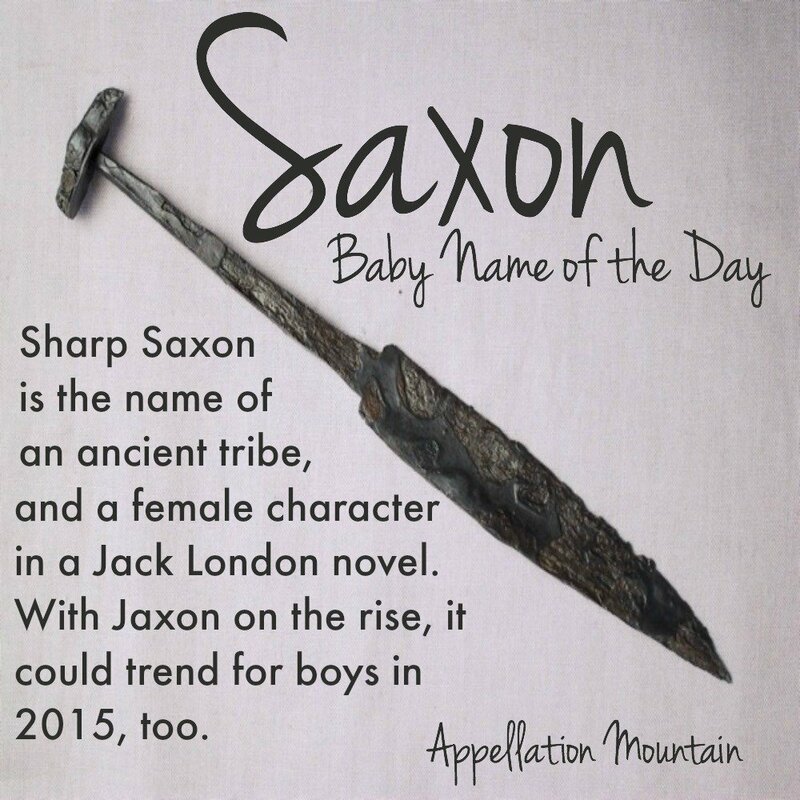 And it’s got enough warrior cred to stand up to tough-guy names like Slade, but feels gentler – even the tiniest bit preppy, maybe – because of Saxon’s surname status. 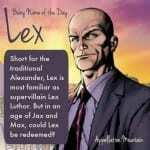 Call Saxon a brother for Wilder. If you’re after something unusual but on-trend for a son, Saxon is one to consider. What do you think of Saxon? Would you consider it for a son? Lissa, that’s funny – now that you say that, my kids use Saxon math, too. Never realized it until I saw your comment! 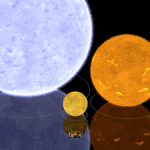 A positive association, too … I think! Once you get past the “wut? !” response and reflect a bit, Saxon isn’t any stranger a choice than Norman (‘Norman, Norseman, man from the north’), or Dan (‘Dane, man from Denmark’), Tedesca/Tedesco (Italian, ‘German woman/man’), or even the 16th C English I found recently. And while I haven’t seen Walsh (‘Welsh’) as a historic given name, given that it’s a modern surname and the popularity of surnames-as-given names, I wouldn’t be surprised to see it as a given name nowadays. Suddenly, Saxon seems ordinary! Walsh sounds really appealing, now that I think about it! Ah well, still a great name.